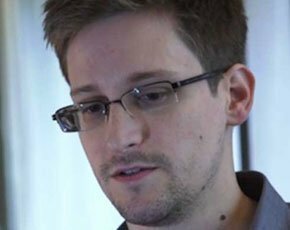 Guardian editor Alan Rusbridger has defended the newspaper’s decision to publish stories based on documents leaked by whistleblower Edward Snowden (pictured). Last month, Iain Lobban, the director of GCHQ; Andrew Parker, the director general of MI5; and John Sawers, chief of MI6 claimed the Snowden revelations had damaged national security. But Rusbridger told MPs of the home affairs select committee that the Guardian was a serious newspaper that has long experience of dealing with national security. He said the Guardian would not be put off by intimidation, but it would not behave recklessly either. Rushbridger said while senior UK and US officials have told him there had been no damage, the disclosure of the Prism mass internet surveillance programme has prompted global debate about the power of intelligence agencies and the weakness of laws and oversight mechanisms governing them. In further defence of the Guardian’s actions, he said the newspaper had consulted government officials and intelligence agencies before the publishing stories and had not divulged any names. He said the Guardian had not lost control of any of the documents and the newspaper had used "military-grade" encryption to safeguard the files. Rushbridger said news organisations that had published stories from the Snowden files had performed a public service. "If the president of the US calls a review of everything to do with this and that information only came to light via newspapers, then newspapers have done something oversight failed to do," Rushbridger said. Nick Pickles, director of Big Brother Watch, said: “Newspapers around the world, from the Guardian to the Washington Post and Der Spiegel, have done what our own Parliamentary oversight committee and other oversight bodies failed to do. Pickles said that, despite threats of legal action, the fact that none had been forthcoming indicated the Guardian has acted in the public interest and not jeopardised national security. "Those who seek to criminalise the conduct of journalism – that is absolutely in the public interest – by using terrorism legislation should think long and hard about what kind of country they want to live in,” he said. National security has been used as an argument to stifle embarrassing revelations in the past, said Pickles, and it will continue to be so. “There can be no greater argument to maintain a free press and to ensure whistle-blowers have proper protections,” he said.